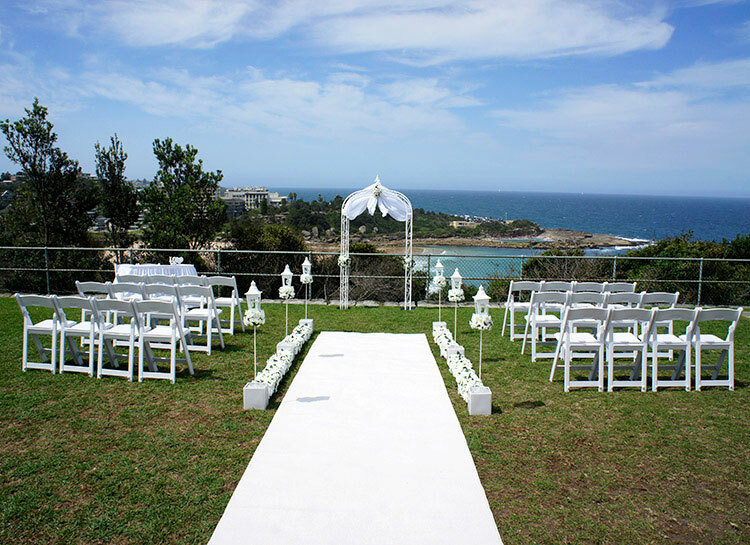 Looking for a Sydney wedding hire package perfectly suited to wonderful harbour views? Then Adorable Wedding Concepts have a range of wedding ceremony packages and decorations for an outdoor wedding. 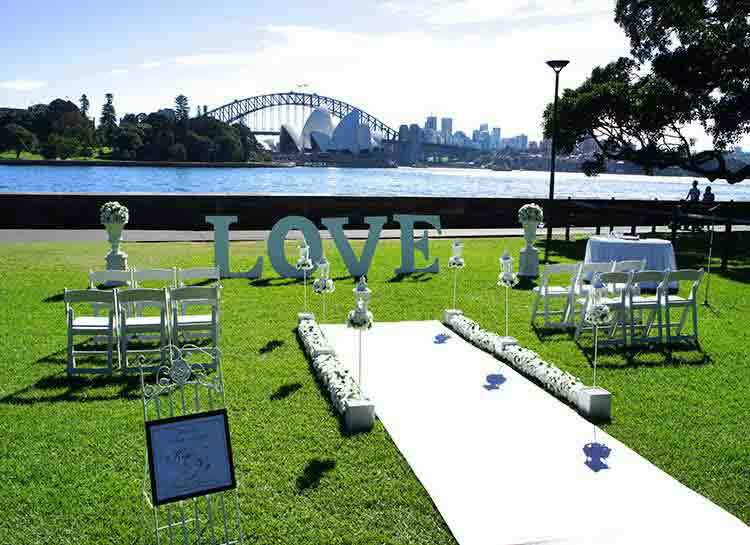 Water frontage is something Sydney has an abundance of and whether your looking to have the Sydney Harbour Bridge or Opera House as your backdrop or simply just want to be by the water, Adorable Wedding Concepts can provide you with a list of options right across Sydney. The Royal Botanic Gardens has a number of water view venues available for hire. From the spectacular Bennelong Lawn to their Lawns 33 or 34 you will certainly find a beautiful view. Hickson Road Reserve is another beautiful venue with an amazing aspect from virtually right under the Sydney Harbour Bridge and with the Opera House set in the background, this garden wedding location must by on your list of outdoor wedding venues to consider. You also might want to consider Observatory Hill for a complete different aspect of Sydney Harbour. You’ll be perched high above the city with and have a fantastic northerly view across the harbour towards the Sydney Harbour Bridge. 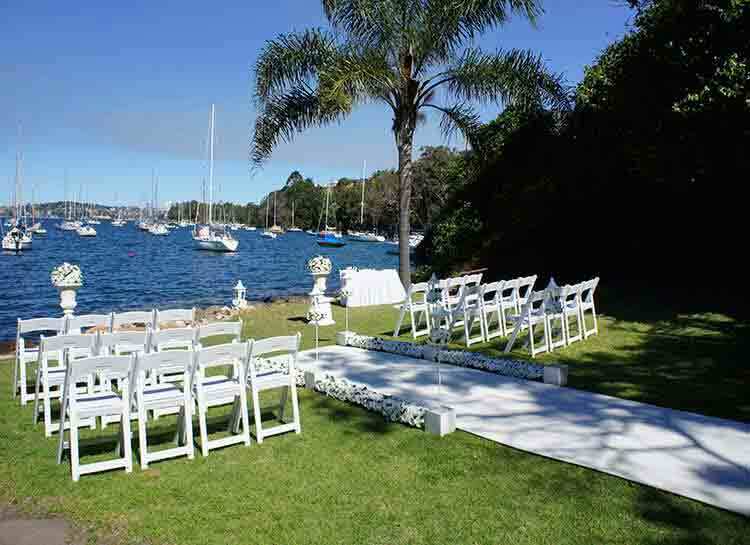 If you’re wanting to get away from the Sydney city centre, Pyrmont Point Park, Prince Edward Park at Cabarita and Blues Point Reserve in North Sydney are all incredible outdoor wedding locations offer truely breathtaking harbour views. Thinking of an outdoor ceremony? We book out fast during the peak season so send your enquiry today to ensure we’re available on the date you’re considering. If you prefer to discuss your customised wedding ceremony, location or setting over the phone, you’re welcome to contact us for a free consultation on 0418 624 225.